Following a video-recorded welcome by U.S. 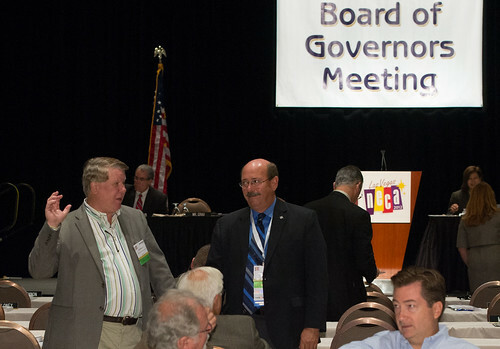 Senator Dean Heller of Nevada, NECA President Dennis Quebe took the stage to open Sunday’s General Session. He described his travels over the past nine months, saying he “found the whole process exciting, frustrating, and stimulating all at the same time. 1. CW/CE Classification – Quebe advocated for CW/CE classification in every IBEW labor agreement. He is committed to making Category 1 language for CW/CE and said that it is the best tool the industry has but is not being used to its potential. “I know the reasons why, but after seven or eight years of talking about it, it’s time to complete the job. Local unions must embrace the reality of our marketplace. NECA members must aggressively change their business models to employ CWCE in the mix.” Quebe said NECA is sponsoring training sessions around the country to teach and encourage members to use this tool. 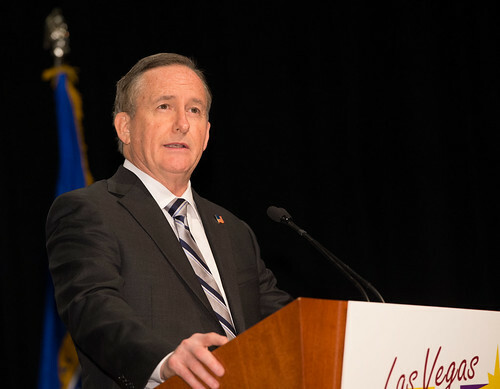 Rex Ferry, NECA past president and current Chairman of the Academy of Electrical Contracting, reported on the activities of the Academy over the past year during Sunday’s General Session. 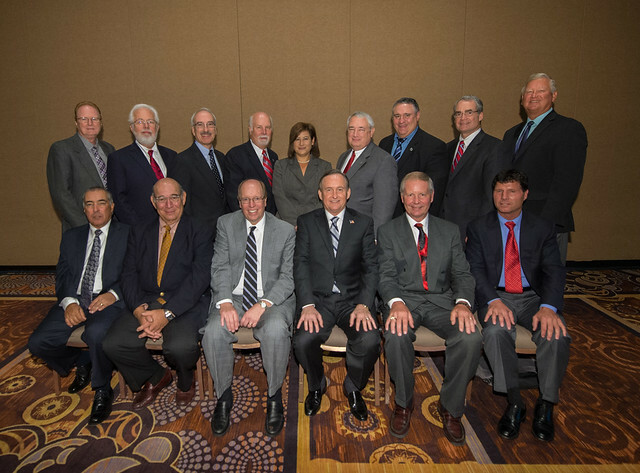 Ferry reported on the Academy’s 44th annual meeting held in June in Colorado Springs. He described the keynote address by former Navy SEAL Eric Greitens, whose presentation focused on leading with strength and compassion through adverse circumstances. He also noted that two papers presented at the meeting are now available for download at the Academy’s website. 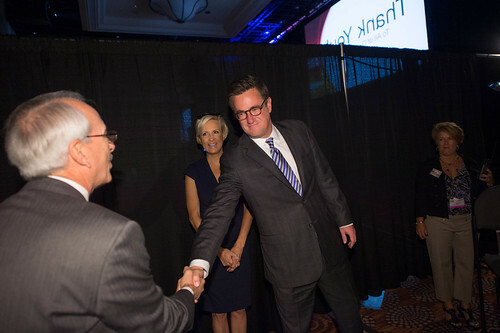 Joe Scarborough set the informal tone of the keynote presentation at Sunday’s General Session by introducing Mika Brzezinski, his co-host on MSNBC’s weekday morning program, Morning Joe. What followed was a wide-ranging and off-the-cuff discussion between the two ideologically-opposed hosts on a range of topics including media bias, partisan division in Washington, the struggling economy, entitlement reform, and their own personal experiences as a former Congressman (Scarborough) and growing up as the daughter of President Carter’s National Security Advisor (Brzezinski). One of the major points of the talk was the need for both political parties to work together more effectively for the American people by putting “America’s best interest above their political interest.” Brzezinski agreed with Scarborough that working with people of different viewpoints is possible. “Our family celebrates the friction that makes our country and makes the world go ‘round,” she said. 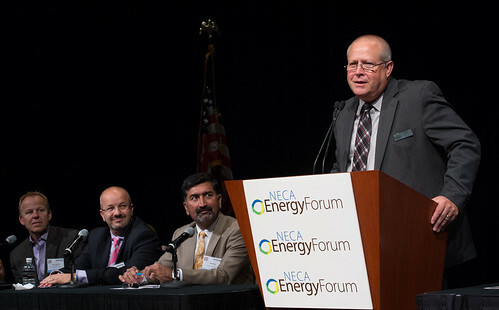 The second NECA Energy Forum compressed intense learning into three far-ranging discussions, covering everything from energy-efficient retail operations to advanced lighting controls to national energy policy. The second panel discussion introduced NECA contractors who have added energy solutions to their company services. 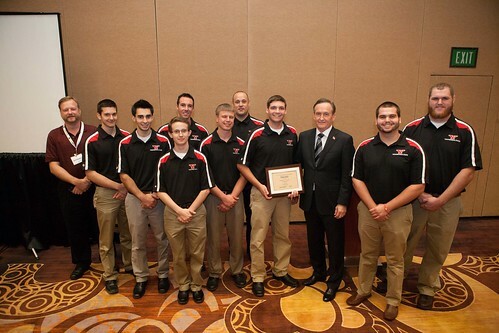 When Rubio Rubio started his company On Target Electric in late 2008, he had a commitment to remaining at the forefront of industry changes. He became an instructor for the California Advanced Lighting Controls Training Program (CALCTP) and through the program, was awarded a lighting controls project for SCE. “My company is fairly small, but since we made the commitment to help our customers save money through energy-efficient lighting, we have grown every year. That’s pretty convincing when you’re making the decision about taking on energy solution work,” he said. NECA’s Board of Governors recognized Dr. David Riley as the association’s 2012 Industry Partner Award winner during their annual meeting today. 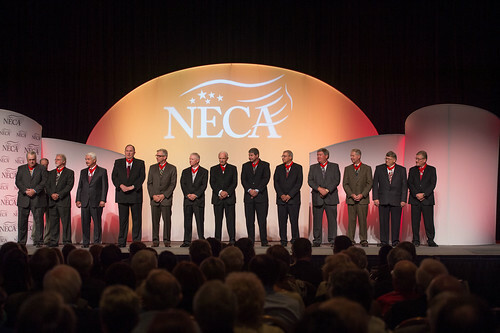 The NECA Industry Partner Award recognizes organizations or individuals who are not NECA members, yet have significantly contributed to the electrical contracting industry’s success through their decisions, actions, or cooperation with NECA. Riley, an associate professor of architectural engineering at The Pennsylvania State University, has been a regular contributor to NECA’s education programs for several years, urging the association to reach out to students to promote electrical contracting and using his own research talent through ELECTRI International to help NECA members improve their business. Riley described Penn State’s entry into the 2006 Solar Decathlon, when funding had tried up and the student team was struggling to overcome design and technical challenge. Several NECA chapters and ELECTRI International came through with financial support to help complete the team’s project, and IBEW members personally helped the students with the final construction of their solar-powered green house for the Dept. of Energy competition. “Our successes have been shared with NECA,” Riley said. Riley currently serves as the executive director of the Penn State Center for Sustainability, which is focused on the engagement of students in sustainability challenges. He is also leading the development of multiple initiatives at Penn State funded by the U.S. Department of Energy that address the integration of commercialization, workforce development, and education programs in the fields of energy efficiency, solar, wind, and smart grid technologies, and he spoke about how his connection with NECA has made these advances possible. Riley has led many ELECTRI studies related to energy efficiency and green building power systems, and he was the first faculty member to champion ELECTRI’s Student Talent Initiative and Green Energy Challenge, a design competition for NECA student chapters. 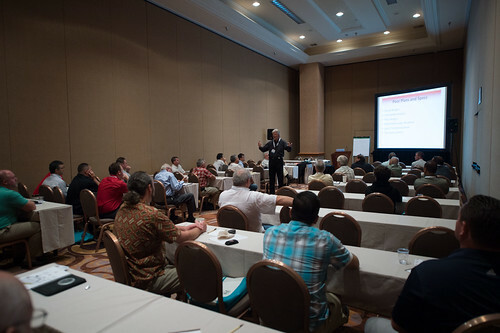 He has also worked with NECA’s Management Education Institute to develop and deliver in-depth courses reflecting these findings in order to help contractors succeed in new and emerging green electrical construction markets.